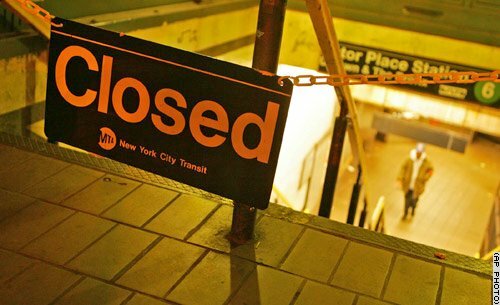 The transit strike arrived at 4:00 a.m. This morning New Yorkers woke up to the news that the city’s entire public transportation system has been shut down by an illegal strike. Millions of people scrambled to find ways to get to school, work, etc. Despite their best efforts, many were unsuccessful. Only a few days before Christmas and Hanukkah, chefs and waiters struggled to reach restaurants where they waited in vain for diners to arrive. Bartenders hiked to work only to spend the day time drumming their fingers and polishing glasses as one holiday party after another was cancelled. Doctors and nurses were unable to arrive in operating rooms. Defendants didn’t show up in court. Teachers were unable to get to their classrooms. Of course, those who suffered the most were the lowest-paid workers; those teetering on the edge of poverty, those who don’t receive any benefits or union protection, those who don’t have the options of working from home or simply taking the day off. For them, this was a day of frustration and lost wages. It took me nearly five hours to reach work this morning and nearly three hours – and $20 in cab fares – to get home. An exhausting day for many people, for many reasons. I hope, for all our sakes, that the strike is settled soon. December 1 marks the 18th anniversary of World AIDS Day. We are now in the 26th year of this horrible plague. In 2005, over 3 million people acquired HIV, which means there are now more than 40 million people living with HIV and AIDS. New York City is home to dozens, if not hundreds, of organizations that serve HIV+ people, but the first and foremost is the Gay Men’s Health Crisis (GMHC). These days, the name is a reflection of the group’s history, not of the population they serve. In early 1979, scientists noted that Kaposi’s Sarcoma, a rare form of cancer previously seen primarily in the elderly, had started to appear in otherwise healthy young men in California. Preliminary reseach showed that all of the affected men had two things in common: they lacked any of the known risk factors for the disease and they were gay. It wasn’t long before it became apparent that these men’s immune systems were seriously impaired; they were soon affected by a host of opportunistic diseases (such as tuberculosis, herpes simplex and candidiasis) that did not respond to standard therapy. As the number of cases of what had been offically dubbed Gay-Related Immunodeficiency Disease (GRID) and was known on the streets as gay cancer and the gay plague steadily increased, scientists and doctors were baffled, members of the gay community were confused, frustrated and angry, and the mainstream media was almost entirely silent. 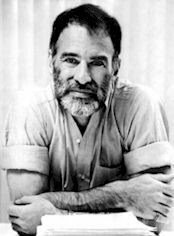 In this atmostphere, New York author and playwright Larry Kramer invited a group of gay men to meet in his apartment to discuss GRID and raise money for research. Eight people showed up for that first, informal meeting. Early fund-raising activities included a volunteer who manned a card table at the corner of Christopher Street and Sixth Avenue, collecting coins that passersby (including me) dropped into an empty water jug. Those first, desperate efforts were the foundation for what soon became GMHC. Today, the organization is one of the world’s largest providers of services to those with AIDS, helping thousands of men, women and children regardless of their sexual orientation or ability to pay for services. Their Web site, telephone hotline (212-807-6655 or 1-800-AIDS-NYC [1-800-243-7692]) and a new collaboration with AIDS Project Los Angeles (APLA) enable them to serve many outside the New York area. But for many New Yorkers, thinking about the fight against AIDS means first thinking, thankfully, of Larry Kramer and GMHC. You are currently browsing the Blather From Brooklyn blog archives for December, 2005.